The Institute of Contemporary Art on The Mall (just down the road from the Queen's pad) is a great place for a trendy drink after taking in some modern art. Oliver Peyton runs the cafe/bar so you can expect well presented quality food in the form of sharing plates. Mains are a mix of organic chicken, spagetti with clams and good quality burgers. Come for tea and you'll get jammy dodgers to dunk in your cuppa. The ICA hosts a lively programme of frequently changing events with art exhibitions supplemented by appearances from well known bands and DJs, book readings, film screenings and talks. Go the bar before an event and you can take your drink in with you - Tuesday nights offer buy one get one free cocktails between 7pm and 9pm. On big nights arty types mingle freely for something cultural followed by a boogie. Institute of Contemporary Art Bar & Cafe clubs, bars, cabaret nights, casinos and interesting nightlife. 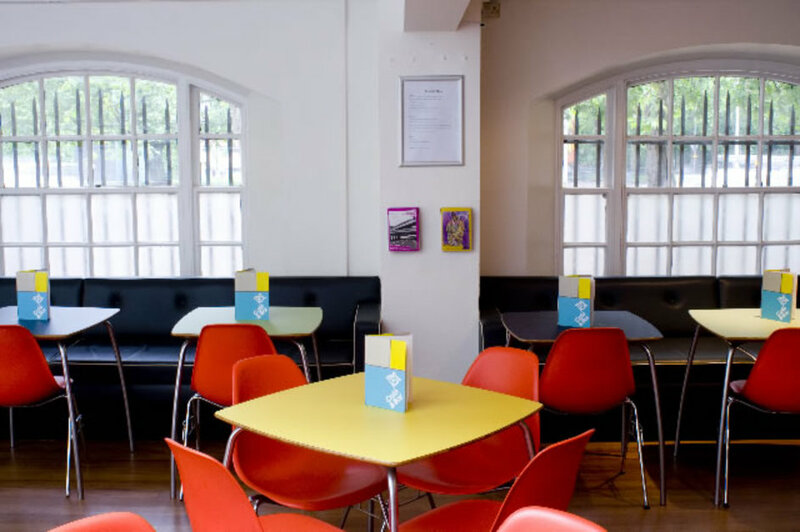 What are the best dining options near Institute of Contemporary Art Bar & Cafe London? Institute of Contemporary Art Bar & Cafe gyms, sporting activities, health & beauty and fitness. The best pubs near London Institute of Contemporary Art Bar & Cafe. Where to have your meeting, conference, exhibition, private dining or training course near Institute of Contemporary Art Bar & Cafe. From cheap budget hotels to luxury 5 star suites see our special offers for Institute of Contemporary Art Bar & Cafe hotels, including Club Quarters Trafalgar Square from 77% off.